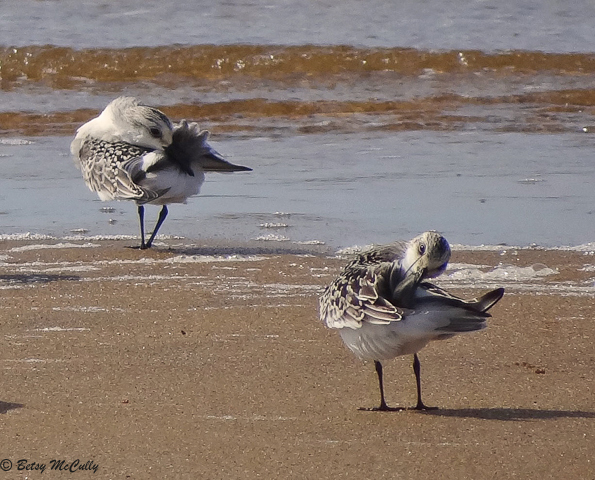 Sanderlings (Calidris alba) preening. Sandy shores. Juvenile. Winter visitors. Declining.